Well I' kinda suspect to making a critique about this piece... 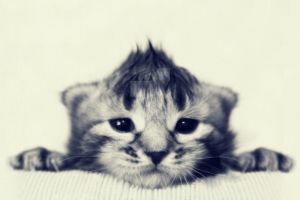 I am a lover of kitties and felines, but wow, when I just saw this cute one I though it was necessary making a great critique. Then comes the originality, I mean, the "hat" and his cute face almost sleeping, it just will make everyone and anyone just think: "awwww so cute!" Oh yeah, I even saw your other piece...and I just can tell it's awesome (both). 65 out of 71 deviants thought this was fair. I was looking through the popular photography, and I saw his, and it just stood out from the little crowd of 120 thumbnails. It has a nice color scheme, and there's really not much I would change. This is an adorable kitten, and he looks like he is in a snowball. In fact, that is what I thought at first. It's very, very cute! His little paw is sticking out, and that's extremely cute. 107 out of 124 deviants thought this was fair. Wow, my dear... this is just amazing! So adorable, even without his/her little "hat"
you clever, clever lady, you! * I doubt you will see this, but may i use this for a coloring project of mine? I'll be sure to credit you for the original picture. uhm... okay, no problem! Then send me the link, please! * Alright, I'll try to post it as soon as possible. 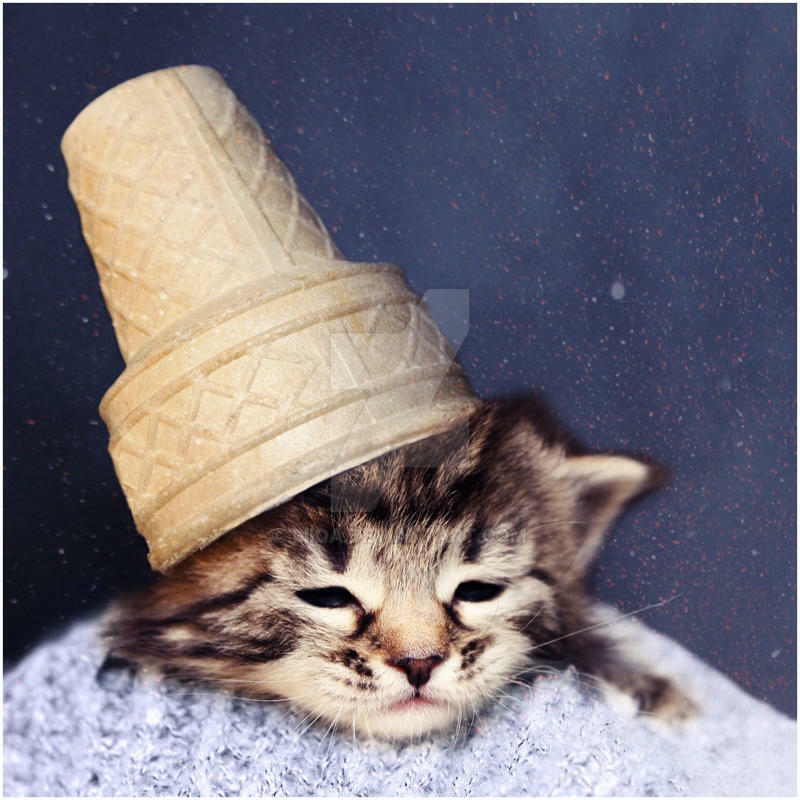 Ice cream kitty is real. He's thinking "At least I don't have cherries on my ears. Sigh". This is so awesome! Would you mind if I start a painting using this as reference? hahhahaha he looks so adorable!!! I cried cause it was so adorable!!!!!!! Same thing here, so cute, haven't I seen this before? Oh yes, about a million times! this is the cutest thing i have seen. oh jesus i want to hug the screen but my mom would look at me weird. is it okay if i use this to make a base? I know you posted this a while ago but i guess now is a better time the ever to ask whether or not you'd be cool with me using this as an avatar for a few different things, like my deviant art page for example. Incredibly adorable, loved it from a glance! Not to mention it's so perfectly executed with soft lighting and contrast between the dark fur and light cone, being finished off perfectly with that sleepy expression! This is too cute. In Soviet Russia, ice cream licks you. I don't get how people see this as cute. He looks sad and not happy. You have some really cute cat pics in your gallery but for me, not this one. I. Need. Ice cream. And a kitten. Great job with this photo, it looks terrific!